In 2014 Dr. Rob Webster became a specialist in veterinary emergency medicine and critical care. Rob has been working full-time as an emergency vet for 14 years, and his training was conducted from 2006 to 2012. His mentors were both world regarded specialists: Dr. Steven Haskins (emergency medicine and critical care) and Dr. Bruce Mackay (internal medicine). 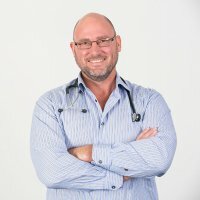 Rob is the first veterinary specialist in this field in Queensland and one of only five veterinarians in the country with this qualification. As a Director of Animal Emergency Service, Dr. Webster works as a consultant for all of the veterinary practices. Along with fellow AES Director, Dr. Simon Lemin, Dr. Webster reviews cases referred to Animal Emergency Service and provides a second opinion when requested by senior veterinarians or clients.